Exfoliate body and hands - feel invigorated! Ooh La La! We've combined our Lizzy's Sunriser blend together with goat's milk and shea butter to create this delicious scrub for the body. 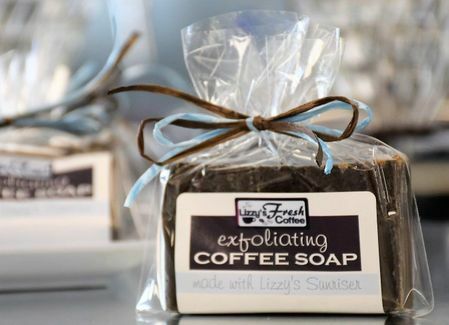 The medium ground coffee throughout the bar creates an incredible exfoliation for the skin, perking you up with caffeine for an undeniable lift in your step.